And Neal Bates secures a wildcard entry in New South Wales' first WRC event. 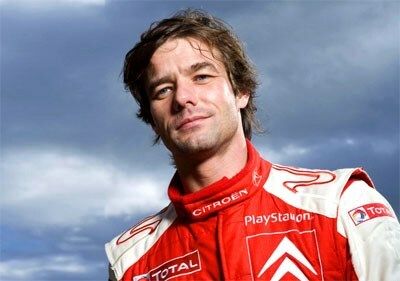 The driver regarded as the sport's best ever - Sebastien Loeb - heads the 45-strong entry for the world championship Repco Rally Australia to be held in northern NSW on September 3-6. But in what is highly unusual in recent years for this late stage of the season, Citroen's Loeb is not leading the championship. After nine rounds of the 2009 FIA World Rally Championship, Ford star Mikko Hirvonen holds the lead in the drivers' standings by just three points from five-times champ Loeb. A good result in Australia will be critical to both, with only two rounds to follow to the conclusion of the championship. The Finn has never won a world title. Citroen Total World Rally Team leads BP Ford Abu Dhabi Rally Team in the manufacturers' championship. Sixteen nations are represented , crewing seven brands of motor vehicle. There are 18 Australian entries including former national champions Cody Croker and Neal Bates. Bates' last-minute entry in a Toyota Australia-backed Corolla S2000 is a fillip for organisers. Developed by his Canberra-based team, the all-wheel drive Corolla won the 2007 and 2008 Australian Rally Championships, but has only just received technical approval (homologation) to compete at international level. Bates, a four-time Australian champion with co-driver Coral Taylor, has been given a wildcard entry by the rally organisers, allowing him to score points in the Production World Rally Championship. He hopes a strong performance will result in international sales for his unique Toyota. The team will run a second, identical car for Queensland-based Stewart Reid. A second P-WRC wildcard has been given to Crocker, Australia's most successful current driver, who has won three straight Australian Championships followed by three FIA Asia-Pacific Rally Championships in Subaru Imprezas. Other Australians will be competing as privateers, in the Production World Rally Championship, in the Pirelli Star Driver shootout and in the National Division for Australian-specification cars. The nine manufacturer drivers at the head of the Repco Rally Australia field are, Loeb and Dani Sordo (Citroen Total World Rally Team), Hirvonen and Jari-Matti Latvala (BP Ford Abu Dhabi World Rally Team), Matthew Wilson and Henning solberg (Stobart VK M-Sport Ford Rally Team), Conrad Rautenbach and Sebastien Ogier (Citroen Junior Team) and Federico Villagra (Munchi's Ford World Rally Team). The first WRC event to be staged in NSW, the rally has been opposed by green groups and land owners in the Northern Rivers area. Significantly, some of the protesters are not on the dole. But organisers claim that the opposition groups are distributing misinformation about the effect of the rally on the environment. Over the next five events (every two years to 20170, the WRC is expected to bring more than $100 million in economic benefits to the region. Closed-road competition stages will be run in the Tweed and Kyogle Shires, with the main rally car service park at Kingscliff, remote service point at Kyogle, nightly Tweed Super Special Stage at Murwillumbah and operational headquarters and international media centre in Kingscliff.